The Siam Paragon is a massive shopping complex featuring elite brands in over 250 stores. The mall is home to Asia’s largest aquarium and a 16-screen Cineplex as well. Jimmy Choo, Versace, Prada, Rolex, and Yves Saint Laurent are a few great brands to name. Although the stuff is on the pricey side, the mall is completely worth a visit. If you’re lucky you may spot a clearance sale or so where you can buy your handsome lot at throwaway prices. Also, visit the popular attractions in the city by following Bangkok itinerary 6 days. The mall gets very crowded by 11.30 am onwards. Bus: 15, 16, 40, 48, 54, 73, and more. 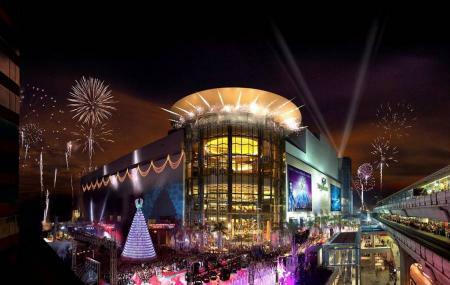 How popular is Siam Paragon? People normally club together Chao Phraya River and Lumpini Park while planning their visit to Siam Paragon. People also prefer to end their day with Siam Paragon.